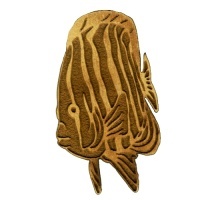 Detailed angel fish wood shape comes with engraved markings on body, fins and tail. 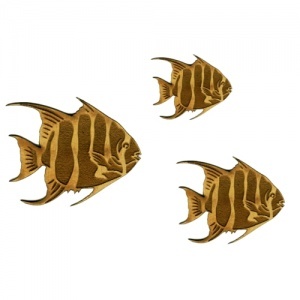 An ideal addition to so many nautical and underwater themed projects, this design can be used on virtually any flat surface. 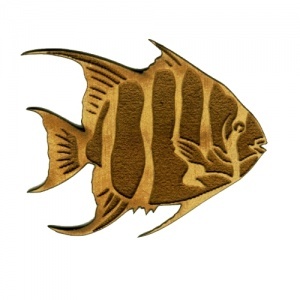 Laser cut from 2mm MDF, this tropical fish shape is available in 3 sizes - select your choice from the options above.